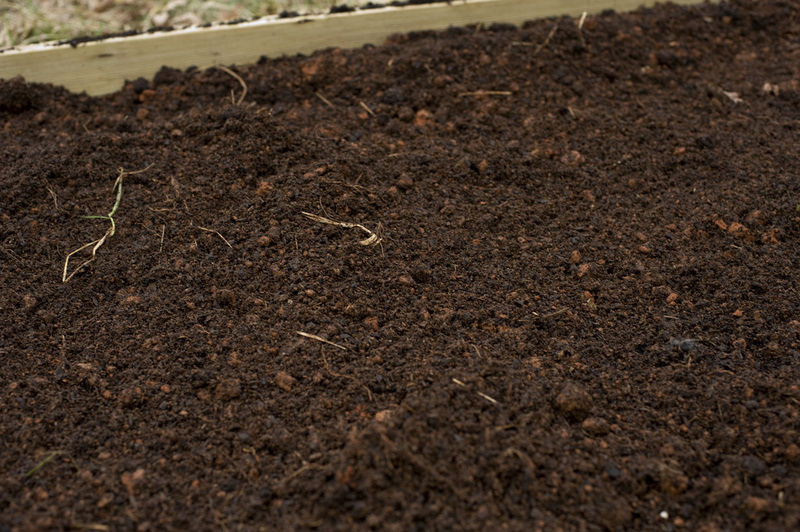 I used the methods described in the article A Better Way to Fertilize Your Garden: Homemade Organic Fertilizer for a couple of years to organically fertilize our newly constructed vegetable garden. The article was published in Mother Earth News in the June/July 2006 edition and written by Steve Solomon. By using the recipe for this organic fertilizer I obtained very good yields and our vegetables were very healthy. I think this is a very good alternative to chemical fertilizers and a great technique for a new garden to give it an initial boost, but I would like to offer some sustainable soil management practices for soil building in the home garden that should eventually eliminate or greatly reduce having to add any fertilizer. Sustainable soil management practices are techniques used to build soil using products and byproducts from your own property or a local source that is added directly to the soil for long term benifit. These add fertilizer, organic matter, and build soil structure. Many gardeners are very familiar with composting. Composting can be complex or as simple as piling together your kitchen, garden, and yard waste and waiting for it to break down. I add compost to my garden beds in the spring. I add about 1/4 inch of compost on most of my beds and do some additional side dressing later if I still have compost available. Adding mulch to garden beds is our number one way at building soil. In the fall we add shredded leaves. In the spring and summer we purchase straw from local sources and add thick layers to garden beds. I also add shredded paper, grass clipping, small tree twigs, and tree bark. These break down and add organic matter to the soil. Sheet mulching or composting in place replicates natures way of building soil from the top down by adding layers on layers of organic matter that slowly break down. The simplistic method of sheet mulching is to apply a weed-suppressing layer, most commonly cardboard and newspapers. Then you add a foot or more of organic mulch. Hugelkultur is a great technique to make use of down tree limbs, sticks, and prunings. Mound up a large amount of woody material 2-5 ft high and 4-8 ft long. Then add layers of organic matter and soil if possible. I like to dig the hugelkulturs that I construct. I dig down about 1 1/2 ft. I then add the woody material in the pit, add organic matter, and finally add the soil that was removed. This techniques keep one from having to import soil from offsite. Cover crops are plant crops planted specifically to provide mulch. These crops shade the soil from sun and protect the soil from weathering. Cover crops can be legumes, non-legumes, perennials, and/or annuals. They can be under sown with fruit and vegetables to act as a living mulch, cut in place and place the residue on the soil surface, or lightly till the cover crops into the top layers of the soil. Cover crops are excellent for long term fertility in a food forest or orchard. Refer toManaging Cover Crops Profitably for an excellent resource for information on specific species. Tilling destroys soil structure. It releases a blast of nutrients that is immensely beneficial to crops for the first season or two. But tilling releases more nutrients than the plants can use and the rest gets leached away by rainfall. Then one must work to replenish the soil of its nutrients and organic matter. Though this might sound contradicting to the above, I usually use a technique called double digging when constructing new garden beds. I double dig the bed initially to build it, then I practice a no-till after that. Chop and Drop is basically a technique used with cover crops and some other soft-leafed plants. Clovers, buckwheat, vetch, oats, wheat, artichokes, rhubarb, comfrey, and Jerusalem artichoke, make mulch very fast and are great for this technique. One can cut these plants before they seed and either drop them in place or place them wherever mulch is needed. Chicken tractors are small lightweight bottomless enclosures that can safely protect and contain a few chickens. These structures are easily moved around on garden beds, in areas where you would like to build a garden bed, or within an forest garden. The chickens will scratch, till, weed, and manure the soil. I move a tractor around as need to clean up a bed from weeds or a cover crop or I might leave it in place for a while adding straw and leaves daily to build a sheet mulch. This is by no means a complete list of soil building techniques. I make use of all these, but if I really need to add some quick fertility to an area I would rely on the organic fertilizer recipe that I linked to above instead of using chemical fertilizers. If your going to use fertilizer use that recipe and create your own. I highly advise avoiding synthetic chemical fertilizers all together. If you are not already using some of the techniques above, consider researching and trying some of these sustainable soil management practices.